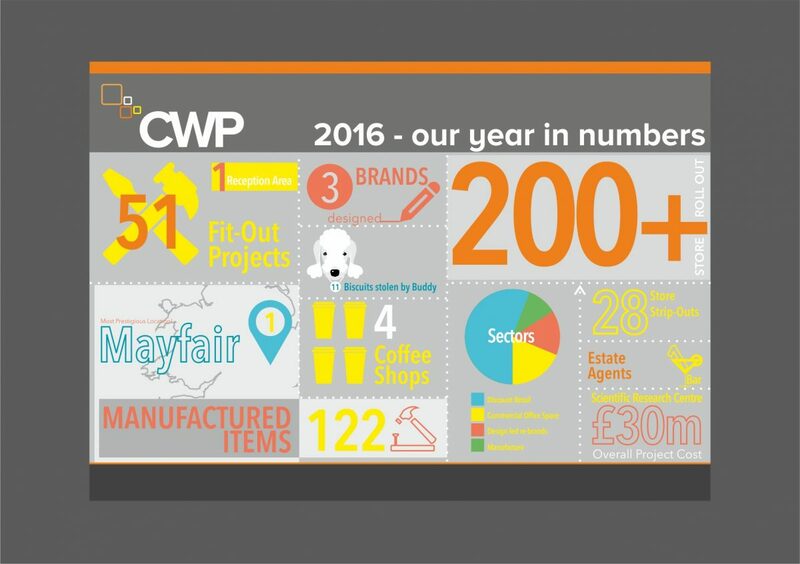 Last year was very busy for us here at CWP Group. As well as moving offices and rebranding we did some work as well! Take a look at the numbers above to get an idea of what we did to help give you an idea of the type of things we do and the sectors we work in. We are experiencing very healthy growth and thank our loyal customers for their work in 2016. We are working on expanding our site teams at management level as well as introducing more processes as part of our continuous improvement policy.